Read it if you dare! 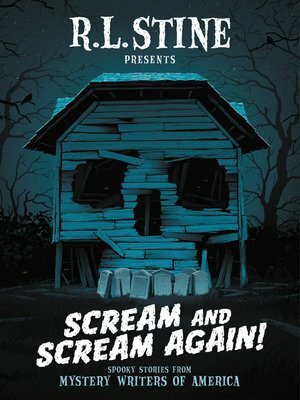 With twenty never-before-published scary stories from some of the most popular authors today—including Chris Grabenstein, Wendy Corsio Staub, Heather Graham, Peter Lerangis, R.L. Stine, Bruce Hale, Emmy Laybourne, Steve Hockensmith, Lisa Morton, Ray Daniel, Beth Fantaskey, Phil Mathews, Carter Wilson, Doug Levin, Jeff Soloway, Joseph S. Walker, Alison McMahan, Daniel Palmer, Tonya Hurley, and Stephen Ross—it's sure to leave readers screaming for more.